Born: 28 December 1875, Cape Town, South Africa. Died: 1951, Place not known. St Clair O. Sinclair, analytical chemist, was the eldest son of attorney Albert H. Sinclair of Cape Town and his wife Catharina M. Overbeek. He studied at the South African College, Cape Town, from 1890 to 1893, passing the matriculation examination (1892) and the intermediate examination for the Bachelor of Arts (BA) degree (1893) of the University of the Cape of Good Hope. In December 1893 he started working as a clerk in the Convict branch of the Colonial Secretary's Office, but continued his studies as a private student and was awarded the BA degree in the natural sciences by the University of the Cape of Good Hope in 1896. In August 1897 he was transferred from the Colonial Secretary's Office to the Government Analytical Laboratory, Cape Town, as an assistant analyst. There he remained, except for a brief spell in the Government Bacteriological Laboratory during 1898-1899. With P.J. Kotze he editied Dutch and arithmetic papers set in the Cape civil service examinations from December 1886 to December 1897... (Cape Town, 1898). Sinclair continued his studies as a private student and was awarded the degree Master of Arts (MA) in chemistry by the University of the Cape of Good Hope in 1902, after passing examinations in several advanced papers as well as two practical examinations. Soon thereafter he was elected a Fellow of the (British) Institute of Chemistry. During the last half of 1909 he helped out as a temporary lecturer in chemistry at the Agricultural College at Elsenburg, near Stellenbosch. He was a member of the South African Association for the Advancement of Science by 1903, the year after its formation, and at its annual congress held in Bloemfontein in 1909 presented a paper on "The chemical composition of milk in the Cape Colony". The paper was published in the association's Report (1909, pp. 99-111). He was a member of the Cape Chemical Society, serving as honorary secretary and treasurer during 1909-1910. By 1910 he had been transferred to the Government Analytical Laboratory in Grahamstown. After the formation of the Union of South Africa in 1910 Sinclair became assistant government analyst under Dr C.F. Juritz*. 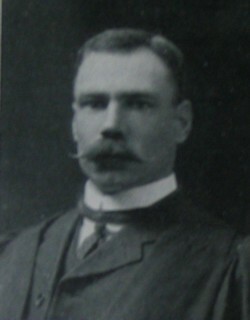 Later he was transferred to the Division of Chemistry of the Department of Agriculture in Pretoria and in 1926 succeeded Juritz as head of the division, a post he held until 1935. During this period he wrote 10 articles on the work of the division and its importance to farmers in the periodical Farming in South Africa. Meanwhile in 1924 the University of Stellenbosch conferred on him the degree Doctor of Science (DSc) for a thesis entitled A study of the composition of milk and the methods adopted in its analysis, from the public analyst's point of view. In 1926 he was president of Section B (which included chemistry) of the South African Association for the Advancement of Science and delivered his presidential address on "The chemical service of the government of the Union of South Africa: Its organisation and work" (South African Journal of Science, 1926, Vol. 23, pp. 26-41). Sinclair became a member of the South African Chemical Institute in 1927, served on its council from 1928, as vice-president for 1934/5, and as president for 1935/6. Cape of Good Hope. Report of the principal of the Agricultural College at Elsenburg. In Report of the director of Agriculture, 1909. Cape of Good Hope. Report of the Senior Analyst on the Government Analytical Laboratory, 1897, 1898, 1899, 1902. National Automated Archival Information Retrieval System (NAAIRS). . Documents relating to Sinclair, St Clair Overbeek. South African Association for the Advancement of Science. Report, 1903, 1905/6, 1909, 1910. South African Chemical Institute. Proceedings and list of members, 1933-1934; List of members and past presidents, 1958. South African Journal of Science, 1926, Vol. 23, presidential address (Section B) by Sinclair. University of the Cape of Good Hope. Calendar, 1903/4, 1904/5.